Note: There are hundreds of traditional polities in the area of modern Cameroon and it would be impossible to list them all. This record is in four parts: (A) major states, i.e. Bamoun, Bonanjo, Limbe, N'Gaoundere, Rey Bouba; (B) the Tikar states (note that Adamawa is listed under Nigeria states where a majority of that state is now); (C) Bamileke states (of these, Bafang, Bafoussam, Bandjoun, and Bangangté were the most prominent). c.1645 Babungo (Bamungo, Vengo) founded. c.1650 Bamenda-Nkwe, known to the Germans as Menda, founded. 1394 Bamoun Djimom (also known as Mum) founded by Nchare. 14 Jul 1884 - 1914 German protectorate. 1914 - 1960 Under French rule. 1918 Bamoun becomes a sultanate. 1 Jan 1960 Part of independent Cameroon. .... Bakweri paramount chiefdom of Buea. 1916 Part of British Cameroons. 14th/15th cent. Mankon kingdom founded. 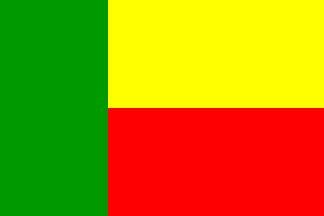 1804 Rey Bouba Sultanate founded. 1851 - 1870 Hamman Arnga "Le Chauve"
18.. - 18.. Nako I "Old Nako"
.... - c.1818 Yiwet II ? 1927 - 1988 Shindzev I "the Great"
1915 - 1961 British rule.